CANFIELD - There will be funeral services at 6 p.m., Thursday at the Fox Funeral Home for Saundra Ann Cable, 55, who passed away Saturday evening at Hospice House. Saundra was born Jan. 25, 1959, in Youngstown, a daughter of Fred and Virginia Shagla Kamperman of Austintown. She graduated with the class of 1977 from Austintown Fitch High School and had been a lifelong area resident. She was a homemaker and a member of the Fraternal Order of Eagles No. Aerie 3298. She will be greatly missed by her husband, Gary D. Cable, whom she married on Nov. 23, 1985. She will also be missed by her parents; her sister, Jill (Doug) Owen of Austintown; her brother, Kurt (Carrie) Kamperman of Hilton Head, S.C.; and her four nieces, Ashley and Kayle Owen of Austintown, and Lauren and Kara Kamperman of Hilton Head, S.C.
Friends may call Thursday from 5 to 6 p.m. at the Fox Funeral Home, 4700 Market St., Boardman. Saundra’s family would like to thank all of the staff of Hospice House for the loving care they showed Saundra and request that any monetary donations be made in Saundra’s memory to Hospice House, 9803 Sharrott Road, Poland, OH 44514. 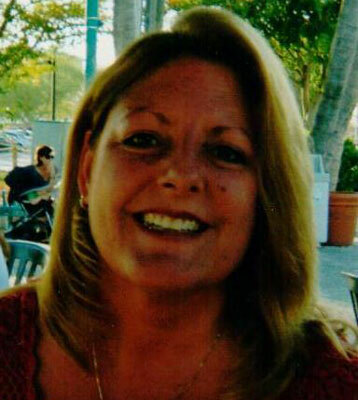 Please share your memories of Saundra Ann.